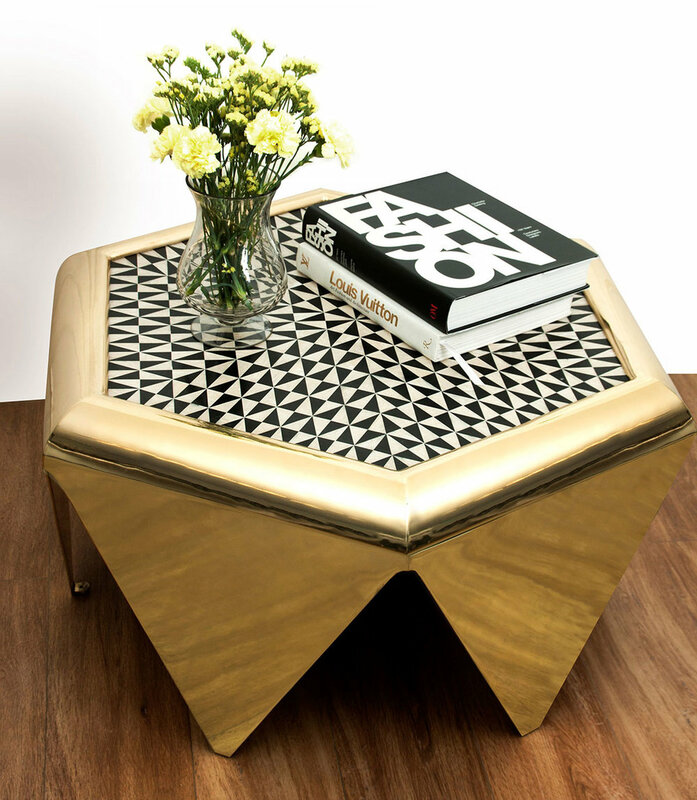 Polished brass cocktail table with intricate black + white resin inlay pattern. Perfect as a small coffee or side table, or in a bar lounge. Base is solid brass, very glam.